Why buy all those energy drinks when you can vape your caffeine?! A great flavor along the lines of many popular energy drinks. Experience vaping with a real kick! "REV" is the first of many in our line of speciality E-Liquids. REV is a combination of caffeine, myrcene, and nicotine (optional). This product has been thoroughly tested, and we can tell you that it works. You will definitely feel the stimulant effect of the caffeine. So much in fact, that caution should be used the first time you try it. After just a few puffs, you will feel your heart rate increase and the stimulating effect of the caffeine. Your alertness will increase, as will your focus. Energy will flow through your body. You have never experienced anything like this. When you need to get going in the morning, or need a pick-me-up in the afternoon, this works perfectly, so well that we do not recommend using it in the evening if you plan on sleeping that night. 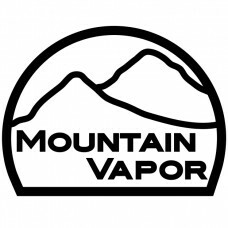 We are not just blowing vapor here! We have proven results that the caffeine and myrcene are indeed in the vapor. We took REV to a laboratory, and had them capture and test the vapor. The caffeine in REV is delivered in a very efficient manner. By bypassing the digestive system, we are able to get the caffeine into the brain very quickly, without having to consume all the ingredients found in energy drinks. No more sugars or artificial sweeteners. You may be asking yourself, why in the world did we add myrcene to REV? In lab, we found the caffeine dissolves much better, and as a result we were able to get morecaffeine into solution with myrcene than without it. Myrcene itself is a very interesting compound. It is found in such plants as thyme, bay leaf, mango and hops. In fact, it has a hoppy aroma, giving it a pleasurable taste. Myrcene has antibacterial, antiviral and analgesic properties. As you can see, besides better facilitating the caffeine into solution, myrcene has some other, very beneficial effects. We developed REV to be as natural as possible. REV does not contain any propylene glycol, only vegetable glycerin for the base. Except for the artificial flavors used for taste, REV is 100% all-natural! WARNING: This product contains caffeine, myrcene and nicotine. Caffeine and nicotine are known stimulants. Caution must be used when taking this product. If you are pregnant, think you may be pregnant, breastfeeding, have high blood pressure or any heart condition do not use this product. The long term effects and dosage levels of vaporizing caffeine and myrcene have not been determined by the FDA. Do not take more than 15 puffs in a 15 minute time period. Wait 30 minutes between sessions. You must be 18 years of age or older to use this product. Use at your own risk! Mountain Vapor, LLC and its affiliates are not responsible for any negative effects using this product may cause. By using this product you acknowledge that you understand this warning. Use responsibly.